March of the Living expresses 'profound disappointment' that the March for Racial Justice is to be held on Yom Kippur. International March of the Living expressed its "profound disappointment" with the organizers of the March for Racial Justice, which is being planned for this Yom Kippur, the holiest day of the Jewish calendar. "Especially in light of recent events in Charlottesville, where prejudice and hatred against Jews, African Americans and others were painfully evident, we must all stand together to combat injustice and intolerance," International March of the Living wrote. "While organizers of the March for Racial Justice have apologized for their 'grave and hurtful oversight', the correct path moving forward would be to change the date." "By choosing a day in the Jewish calendar that Jewish people cannot participate in, you have effectively turned your March for Justice, into a monumental act of injustice against the Jewish people. "The biblical words on the Liberty Bell in Philadelphia, perhaps the foremost symbol of American independence, read 'Proclaim liberty throughout all the land unto all inhabitants.' (Leviticus 25:10). Indeed, we are only truly free when we work for the freedom for all members of the human family. 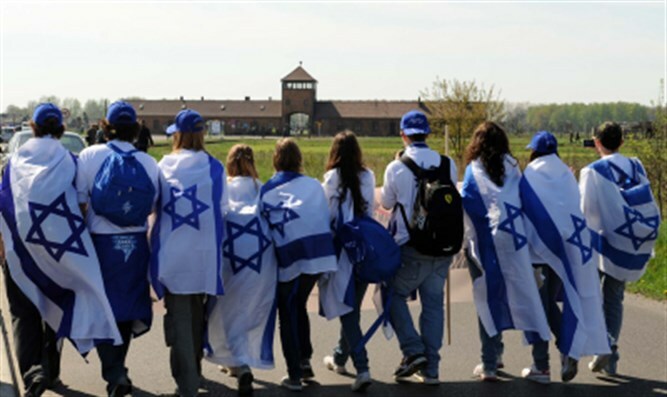 "On behalf of 250,000 alumni of the March of the Living, who have traveled to Poland to see firsthand the remnants of the Holocaust and the devastating results of prejudice and hatred, we implore with the organizers of the March for Racial Justice to do the right thing: Change the date of the March so that no-one is excluded. "Only then, will it truly be a march for justice."